Head. 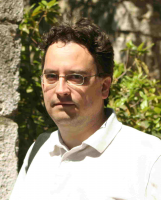 Prof., and Director of Semmelweis University, Budapest, Dept. of Orthopedics. 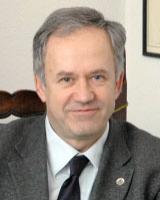 Head consultant at Semmelweis Egeszsegugyi Kft. Medical degree 1977 Semmelweis University, Budapest. Specialization in Pathology and Pathohistology 1982, Orthopedics 1986 Hungarian National Board. PhD 1985, DrSC 1994 Hungarian Academy of Sciences. Professional Study tours 1982 – 1995: University Val de Marne, France (biochem. lab.). Cottbus, Germany (histopathology). Prague (Dept of Orthopedics). Zurich (Dept of Orthopedics). Vienna (Adult Orthopedics). Boston Harvard Univ., AAOS fellowship (bone tumours). Paris (French fellowship, Hop. Saint Paul, bone tumours, scoliosis). Deputy Head & Assoc. 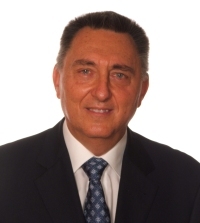 Prof., Consultant Orthopedic Surgeon at Semmelweis University, Budapest, Dept. of Orthopedics. 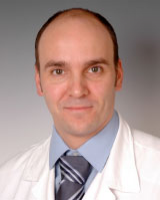 Consultant at Semmelweis Egeszsegugyi Kft. Medical degree 1972 Stavropol University, Russia. Specialization in Orthopedic surgery 1976 Hungarian National Board. PhD 1988 Hungarian Academy of Sciences. Teaches & trains residents in orthopedic & trauma surgery. Lectures medical/clinical students. Board member of numerous professional associations & colleges at home & abroad. Regularly publishes in domestic & foreign professional journals. Assoc. Prof., Consultant Orthopedic Surgeon at Semmelweis University, Budapest, Dept. of Orthopedics. Head of Orthopedics, Head of Center for Musculoskeletal Disorders & Trauma at St. George County Hospital, Szekesfehervar, Hungary. Consultant at Semmelweis Egeszsegugyi Kft. Medical degree 1981 Semmelweis University, Budapest. Specialization in Orthopedic surgery 1985 Hungarian National Board. PhD 1995 Hungarian Academy of Sciences. EFORT, SICOT National Delegate for Hungary. Hungarian Orthopedic Association Former President. Publishes in various Hungarian & international journals. Assoc. 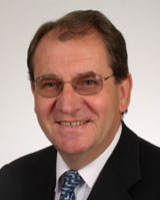 Prof., Consultant Orthopedic Surgeon at Debrecen University Dept. of Orthopedics. Consultant at Semmelweis Egeszsegugyi Kft. Medical degree 1972 Debrecen University. Specialization in Orthopedic surgery 1979 Hungarian National Board. PhD 1996 Hungarian Academy of Sciences. International training 1983 – 2003 Arthroscopy and Hip & Knee replacement surgery: Rostock, Eisenberg Germany. Nazareth Hospital Philadelphia, LCS Knee Allentown Pennsylvania, Portsmouth, New Hampshire USA. Bruderholz, Basel, Fribourg, Pontresina Switzerland. Steyr, Vienna, Graz Austria. Private clinic, UK. Asst. prof., Consultant Orthopedic Surgeon at Semmelweis University, Budapest, Dept. of Orthopedics. Consultant at Semmelweis Egeszsegugyi Kft. Medical degree 1999 Semmelweis University, Budapest. Specialization in Orthopedics and Traumatology 2006 Hungarian National Board. Clinical Experimental Research investigating the role of mesenchymal stem cells and proteins in bone grafting materials. Medical degree 2002 Semmelweis University, Budapest. 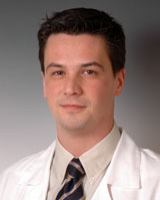 Specialization in Orthopedics and Traumatology 2009 Hungarian National Board. Clinical Experimental Research in nano silver antibacterial joint endoprosthesis. 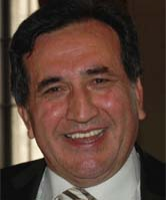 Dr. Laszlo Lazar Prof. M.D. Medical degree 1972 Semmelweis University, Budapest. Specialization in Neurosurgery 1979 Semmelweis University, Budapest. Experience includes introducing new treatment protocols in neurovascular surgery and minimal-invasiv spinal neurosurgery, as well as new methods of reconstructive surgery.